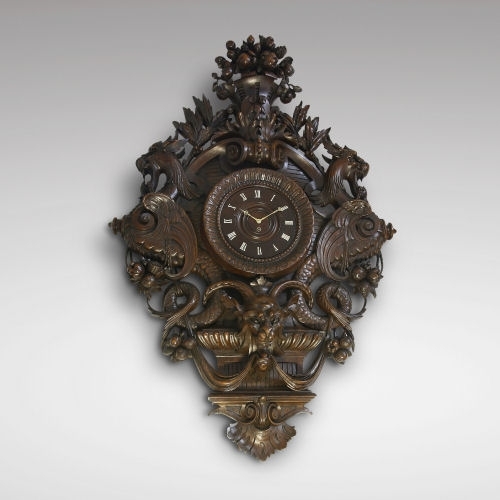 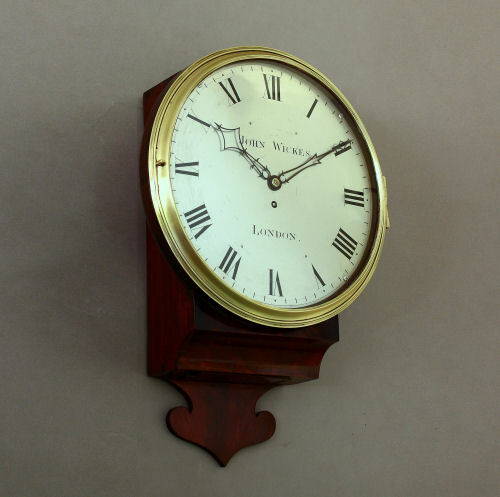 Early 19th century mahogany wall timepiece signed Thomas, 3 Strand, London. 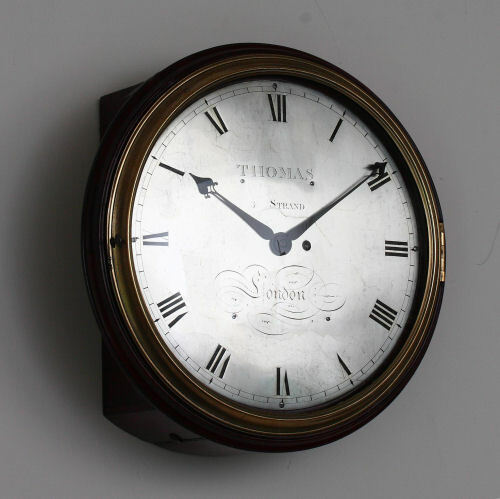 12 inch signed silvered dial. 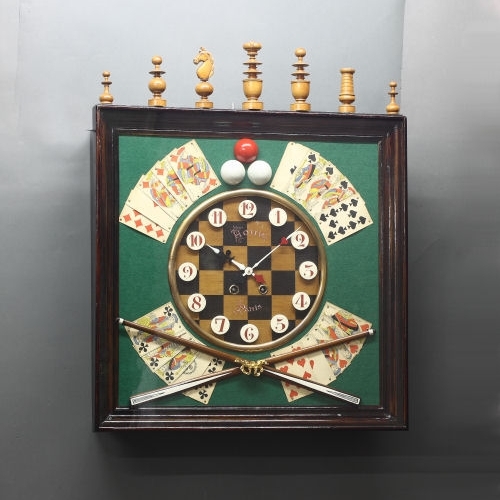 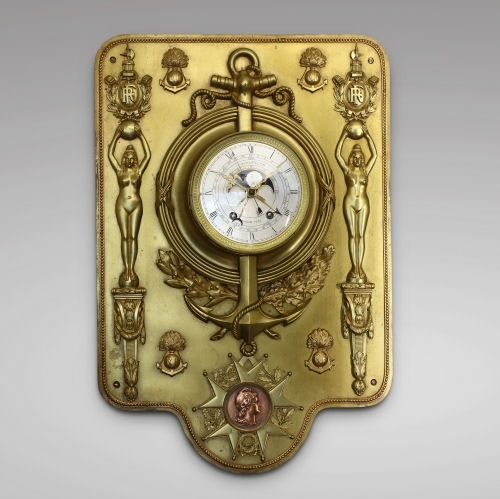 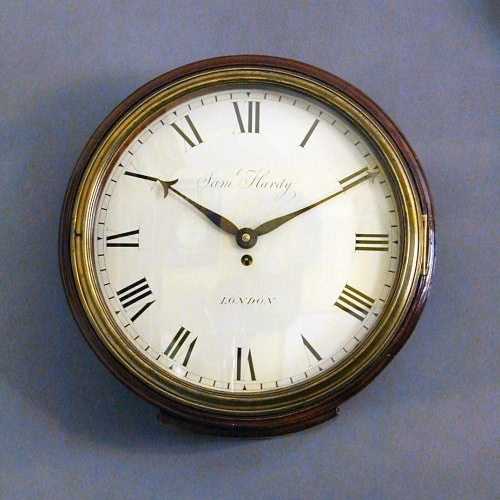 Late 18th/ early 19th century large dial clock with painted dial signed Samuel Hardy, London. 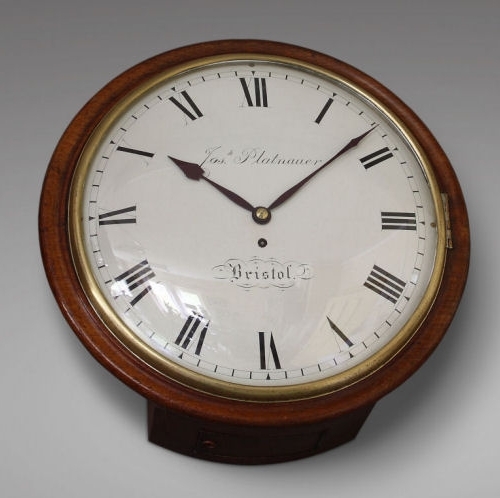 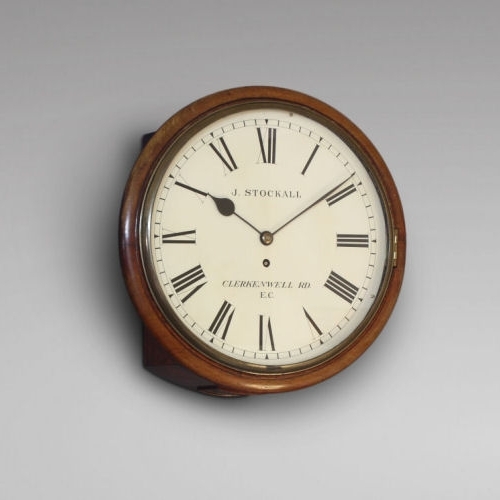 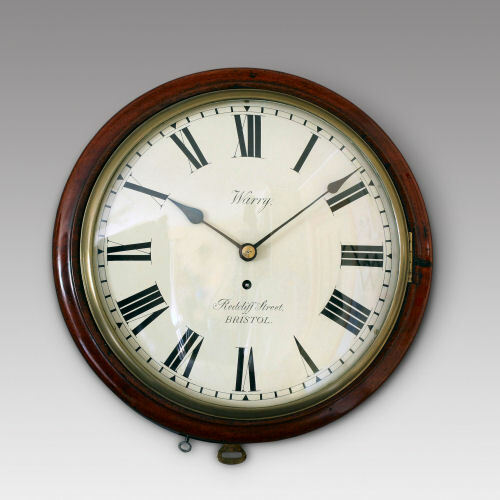 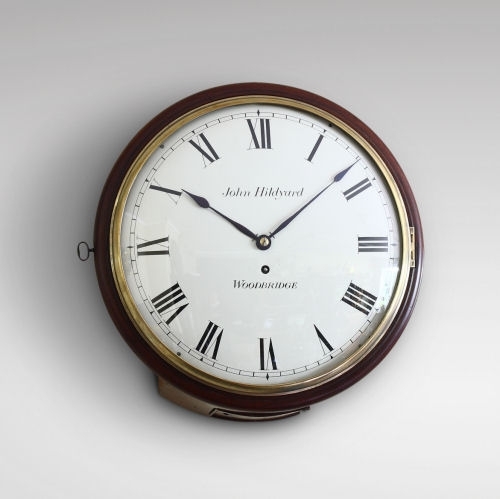 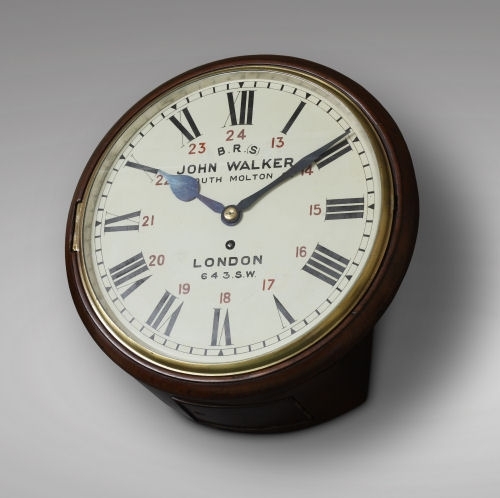 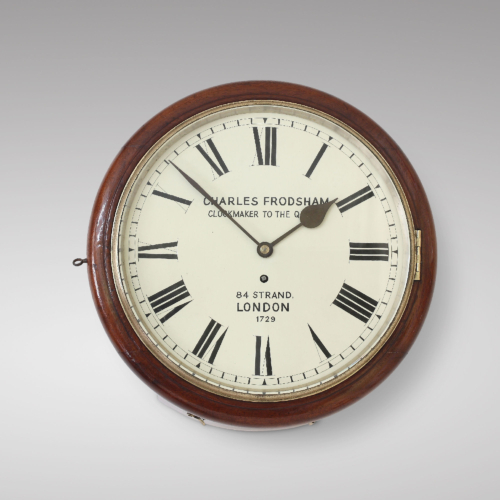 Early English mahogany dial clock, circa 1800, signed John Wickes, London. 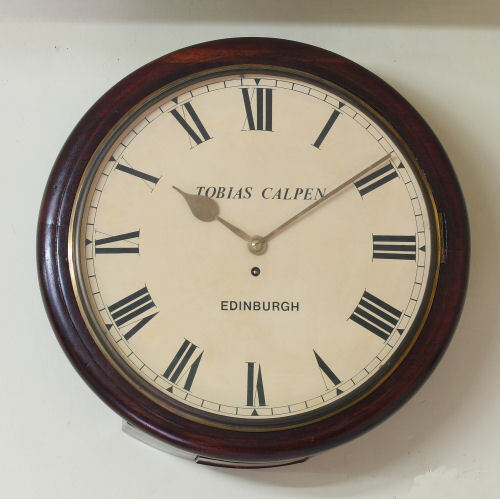 Large Scottish dial clock for train stations or administrations, 2nd half of the 19th C, Tobias Calpen, Edinburgh. 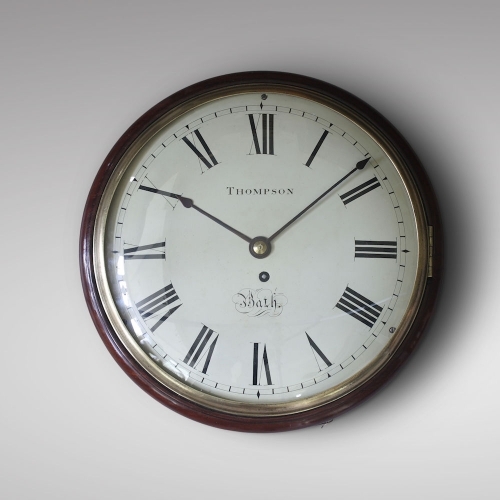 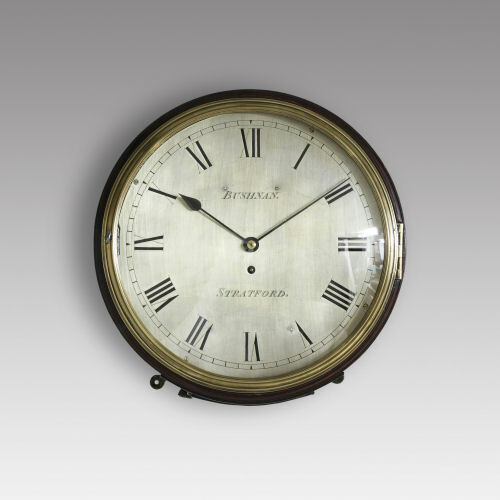 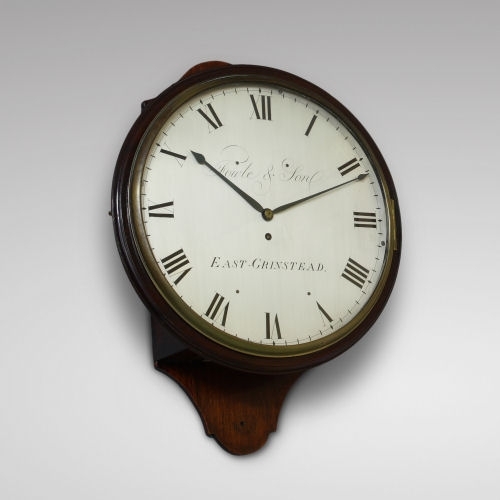 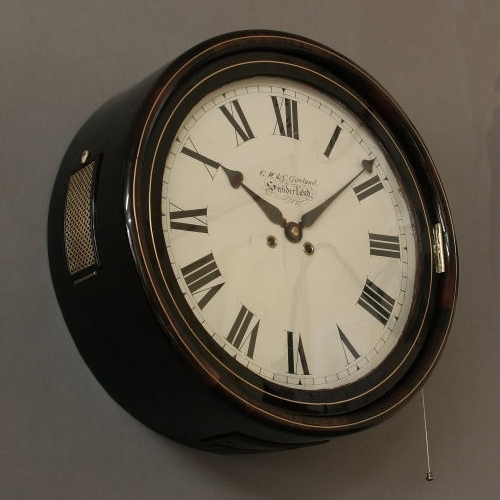 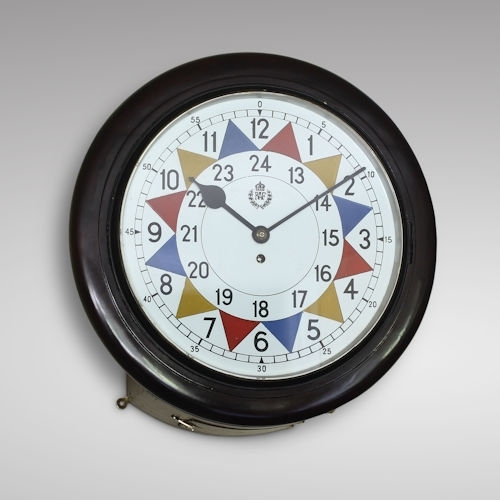 Large diameter English dial clock, Victorian era. 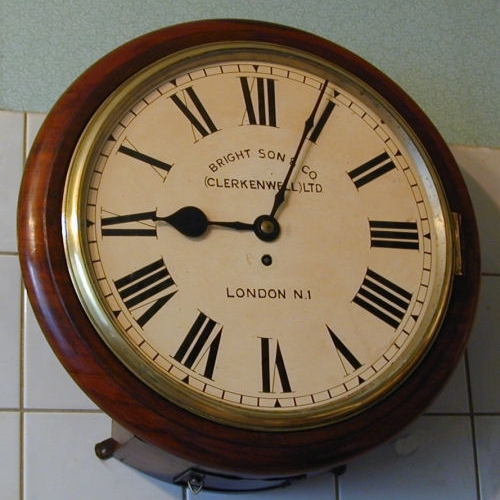 Dial signed Bright & Son, Clerkenwell, London. 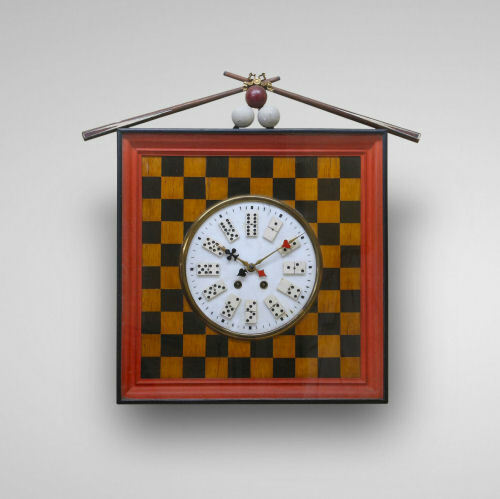 © Jacques Nève | All Rights Reserved.